As we prepare for Precinct Meetings, County and State Convention in the coming months, I wanted to make sure you were personally invited to a special event happening this Saturday. 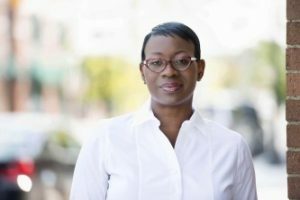 As a part of her statewide speaking tour, Nina Turner will be visiting Maui on February 10th 6-8pm. Ms. Turner is a former State Senator from Ohio, President of Our Revolution, Member of the DNC Unity Reform Commission, and a Founding Fellow of the Sanders Institute. A champion for progressive causes such as labor, women’s reproductive health, voting rights, and the eradication of wealth and income inequality, she forms deep connections with people from all walks of life. Known as an eloquent, inspiring speaker, Nina will be here at Pukalani Community Center on February 10th 6-8pm to share and connect with our communities. Individual tickets to this grassroots fundraising event are $27. Please come support the DPH, invite friends, and share the links provided. This entry was posted in Event on February 5, 2018 by Tim Lara. Confirming appointment of SCC Maui At Large Male Rep. Per the Maui County Bylaws our County Committee should hold regular meetings at least once every three months. County Committee Membership consists of the following: County Officers, Precinct Presidents, District Chairs and Chairs of Official Party Caucus. This is currently around 47 members and we need 40% of those to establish Quorum. If you are a County Committee Member and not willing to attend quarterly meetings please consider another position within the Party so we can have an active County Committee. The bylaws also state that County Committee members with valid excuses for nonattendance may give their proxies to the Chair of County Committee or their District Chair. If you wish to proxy please send an email to Recording Secretary Ben Wilson at Secretary@MauiDemocrats.org Include your name, position and wether you wish to proxy to your District Chair or County Chair. Amendment 3. Article IV.3 Remove the words ‘due to death or resignation’ in first sentence. Notes: This allows the County Chair to appointment Committee Officers for positions that were not filled at the County Convention and does not limit appointments to filing vacancies only ‘due to death or resignation’ as its currently written. This entry was posted in County Committee Meeting on April 24, 2017 by Tim Lara.